If you want to bring some change in your appearance, then you can try this Captain Malcolm Coat that is inspired by the drama series Firefly and it is worn by Nathan Fillion in the series. The best thing is that you can wear it anywhere for an impressive appearance all the time. Brown is the unusual color that you will love to attire on the casual events. So, why don’t you have this fascinating piece now on a budget? 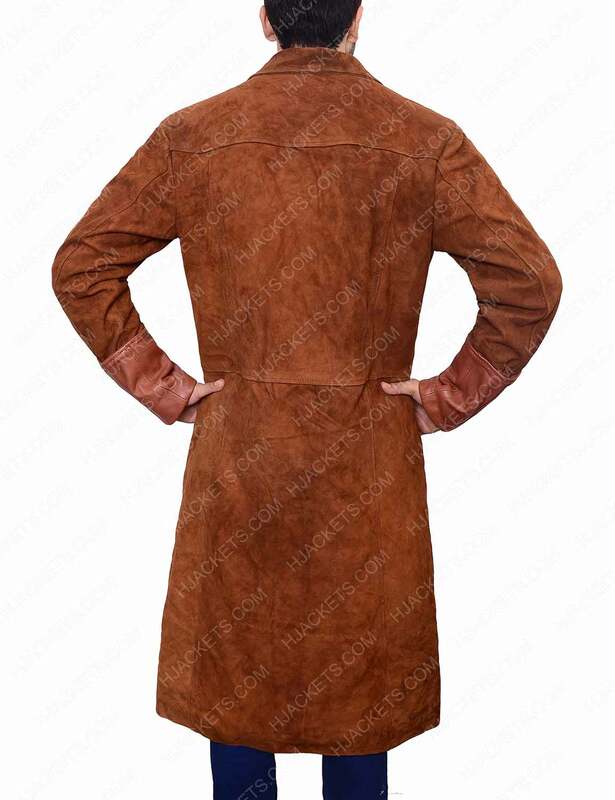 You can avail this coat that is made up of suede leather with inner viscose lining that will allow you to feel comfortable and relaxed when attiring it for an extended time period. You will be inspired by the features that include the amazing lapel collar with the brass buckle closure that will give you uniqueness in your looks and you will get best fitting when attiring it. Check the full sleeves of the jacket with the wide leather folded cuffs that will give you great look. So, grasp it now and get an impressive appearance among all. 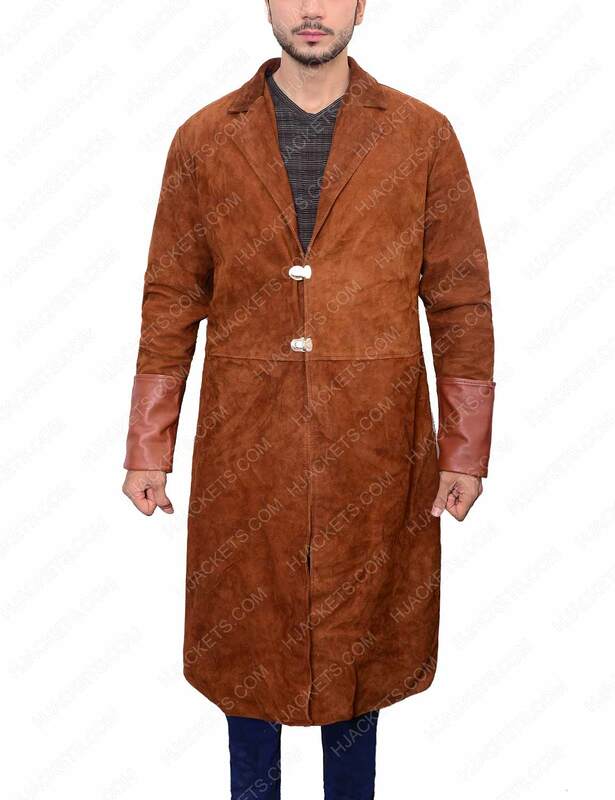 Amazing Brown Coat My brother was looking for the new arrivals so that he can wear for an impressive look. I decided to give him a surprise by presenting him Malcolm Brown Coat. This coat is available in the brown color that feels amazing when attiring it. 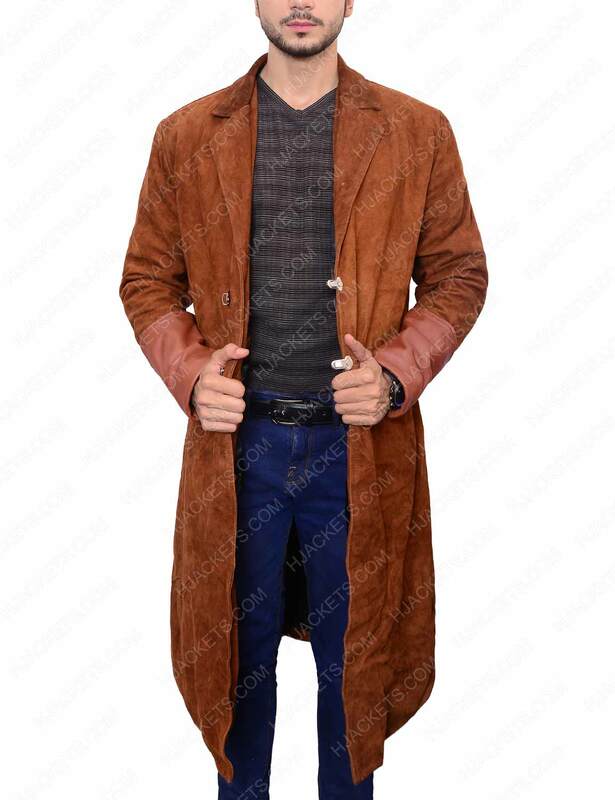 As leather is the best fabric for my brother that’s why I wished to present him leather brown coat so that he will be happy to have this attire. As it was the surprise gift for him that’s why I asked him to received the delivery from the doorstep. He opens it and asked what’s inside? When he opens it, he was shocked and really happy with it. 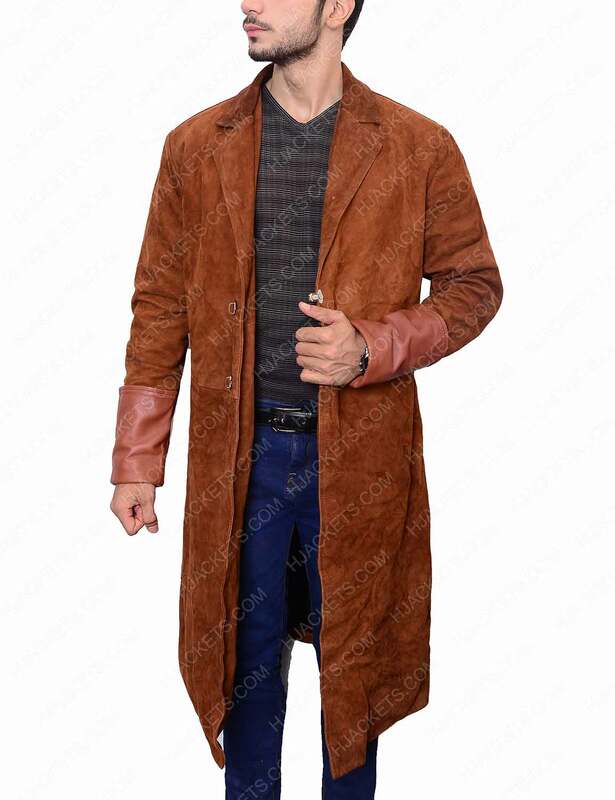 The coat fits him well and material makes him feel comfortable all the time. His friends greet him with best compliments and ask about the site. Yes! We definitely recommend hjackets.com for the amazing product. The really impressive piece that I have never seen before.